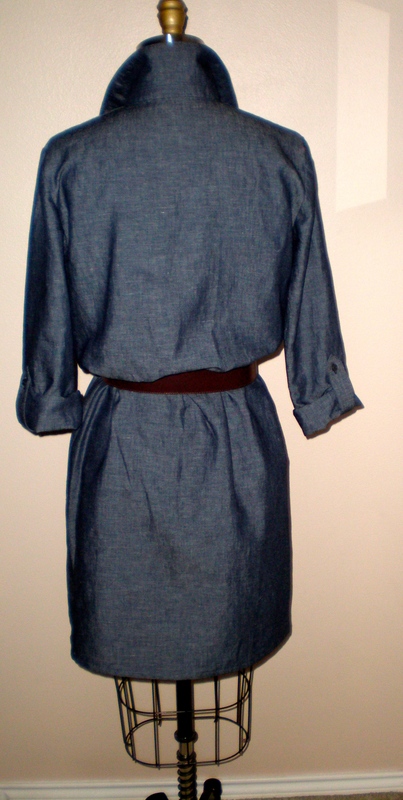 I am excited to have finished this shirtdress made of 100% cotton dark wash chambray so that I can wear it for the Fall and beyond. 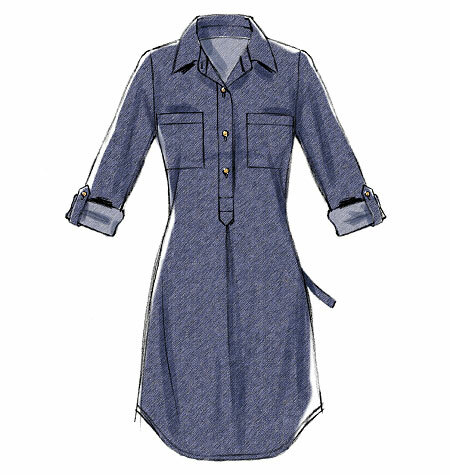 I really like the ease of wearing denim as well as the comfort of a dress, so this light weight denim a.k.a. 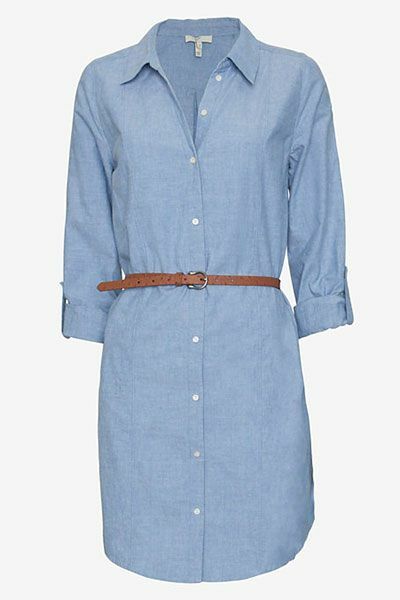 chambray is a perfect combination. I plan to wear this dress with a belt, boots & tights, maybe a scarf or fun jewelry, or even flat or strappy sandals for spring. I used McCalls 6885 (also labeled as MP345) to make this dress. It was a fairly easy dress to make, it just took time to cut out and mark the pattern carefully, to top stitch most of the seams as straight as I could, and make the major seams into flat felled seams which took time. I could have taken shortcuts and just serged most of the seams, but I didn’t want to do that. Instead, I made the side, shoulder and sleeve seams flat felled seams to prevent fraying and give a nice, finished look, and finished the armhole sleeve using my serger. I feel bad for the cute, young model who had to sport this look. Definitely not her best day in front of the camera thanks to this outfit. 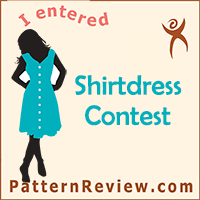 Hence, view D is what I went with, accept that I made the hem of the dress straight, as in view C of the pattern, and I chose not to make the matching, attached tie belt as I knew I would want to wear one of my own belts with this dress. Worn with a Banana Republic leather belt and scarf and Sorel boots. I am very pleased with my new casual dress and will wear it often! I might even make this up again in other colors and fabrics. Yay for sewing! How I love you so! 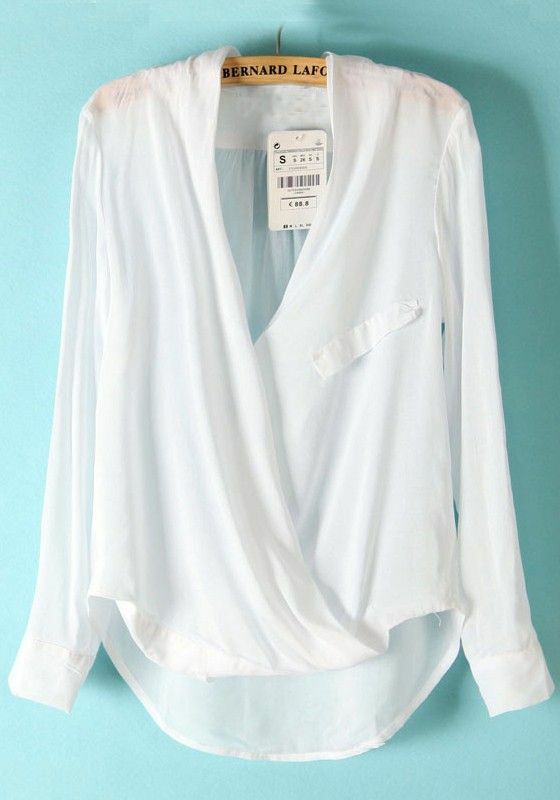 This top incorporates a few of my favorite things in this world: silk, wine and pretty clothes. 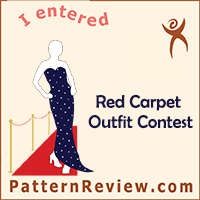 I wanted to wear something that I have made to this event, as I usually do like to do, but ran out of time to make a cool dress or other outfit. 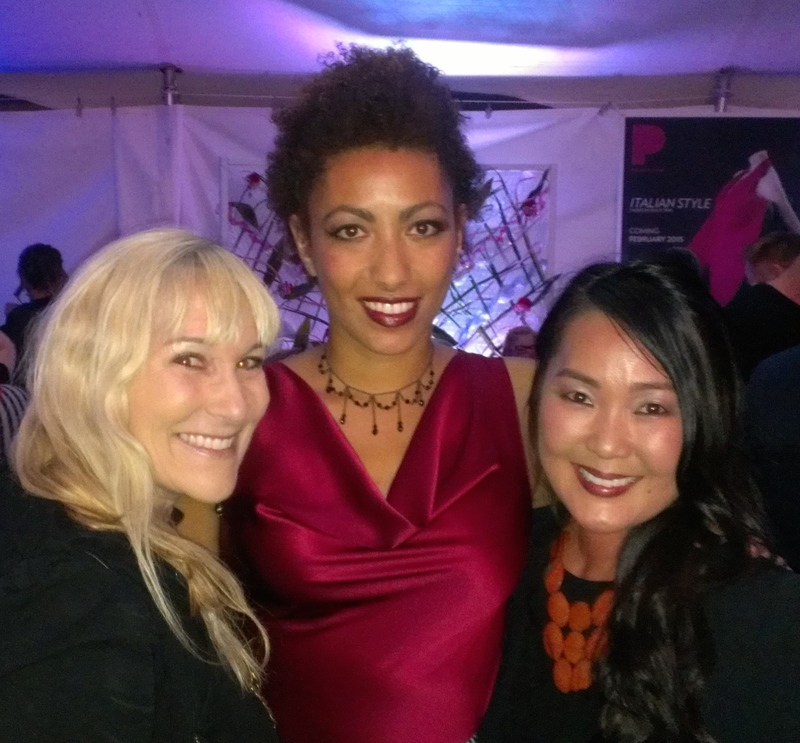 Even when I say to myself, “OK, next fashion show, a year from now, I want to wear something really great that I designed and sewed.” But I never seem to have the time to make something really awesome and unique. 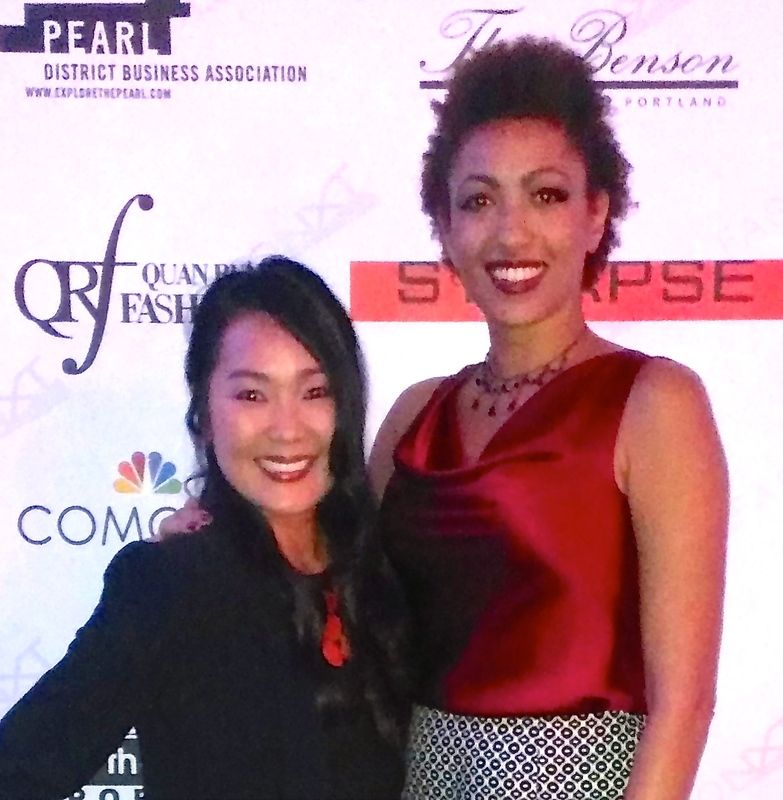 After all, this annual show features emerging and established fashion designers, including Project Runway winners and contestants. 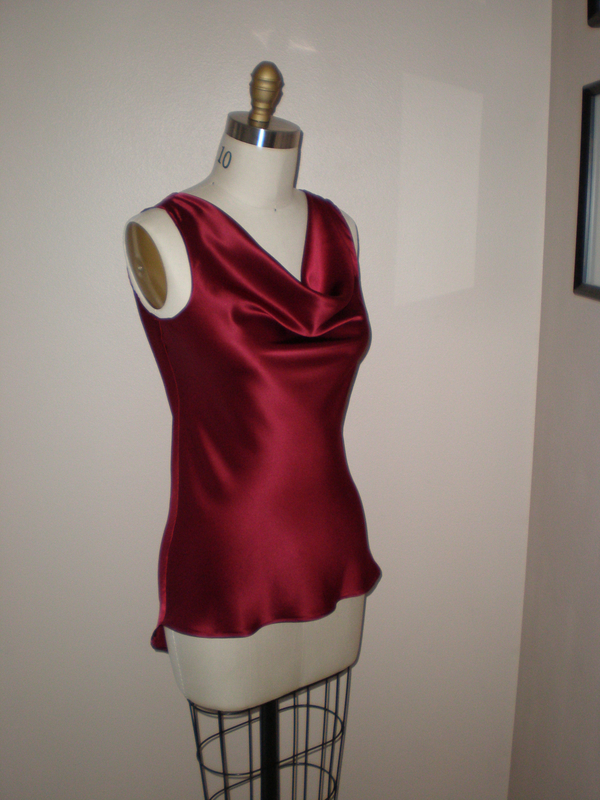 I had this beautiful red wine colored silk charmeuse yardage in my stash, plus have made this top pattern a few times now, so I knew it would be a fast and easy, yet a beautiful and elegant, project to make. 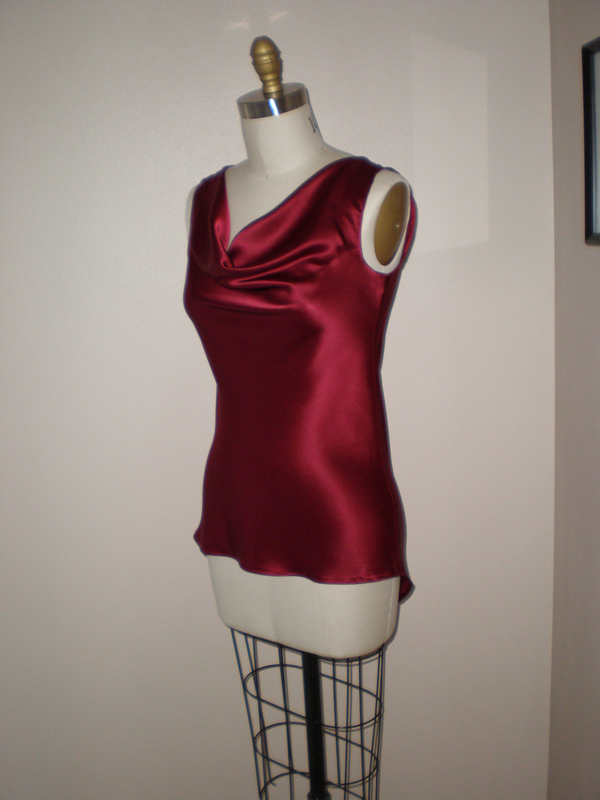 I used McCalls 6563 pattern, modifying it by using the drape neck top of view D and the bottom and shaped hem of view A or C. I actually lower the back of the hem a tad to add a little extra coverage in the back side. So, side I changed this pattern more than 50%, can I call it my own? I kind of think YES!!! It took about 4 hours to make, including cutting out on the bias grain, making French seams, hemming the armhole and hem with a narrow hem, and pressing the seams carefully. I skipped hemming the inside of the cowl for the sake of time. 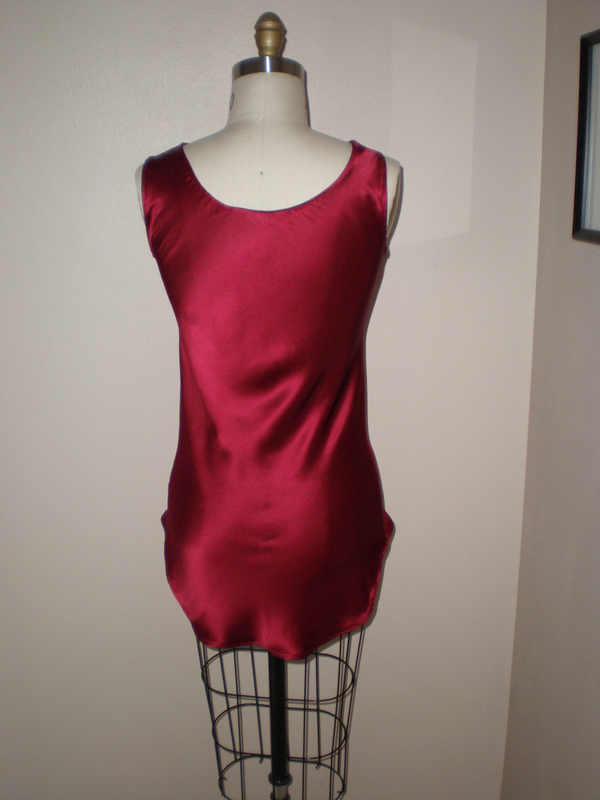 This was a fast and fairly easy sewing reject, after I lengthened the sleeves 3″ and left out the neck binding. I also did not tack the center front edges, but may go back and do this to keep the top closed, or add the neck binding. as included in the pattern, or make up another version of a binding. I made the side, shoulder, arm and armhole seams all French seams to prevent fraying and to make it pretty on the inside too. I love my new top, especially the color! 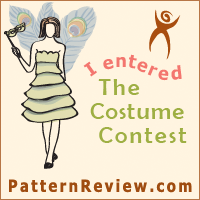 If I make it again, which will be likely (although it takes up a whopping 3 1/4 yards 45″ wide fabric (2 1/4 60″ wide! ), I will probably also make a change to the neckline and make it just a straight angle from the shoulder, or add the binding and make a tie closure. Either way, this is a great pattern and I even like the sleeveless version view D as well.